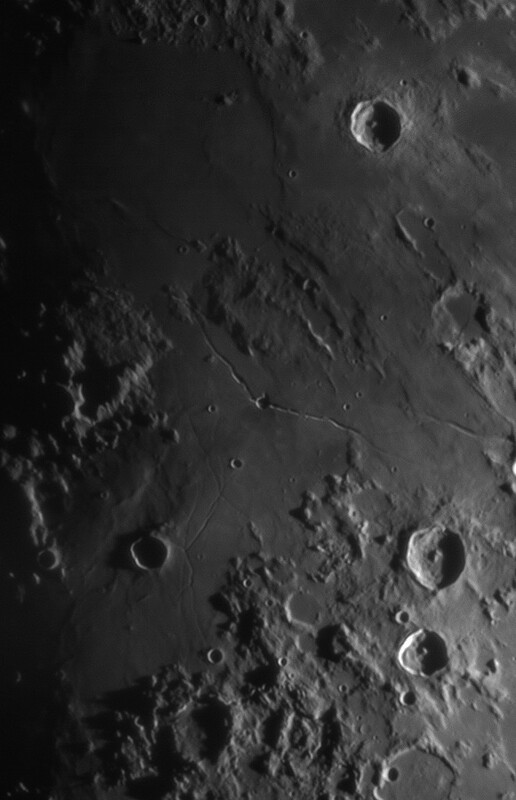 Astro-Physics 127mm f/8, QHY5L-II, 3x Televue Barlow. 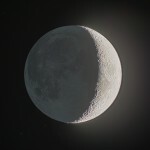 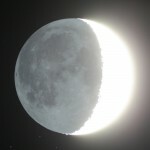 On March, 24th the young moon was visible in the western sky. 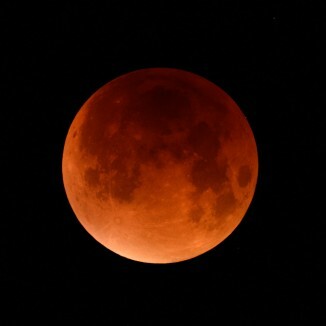 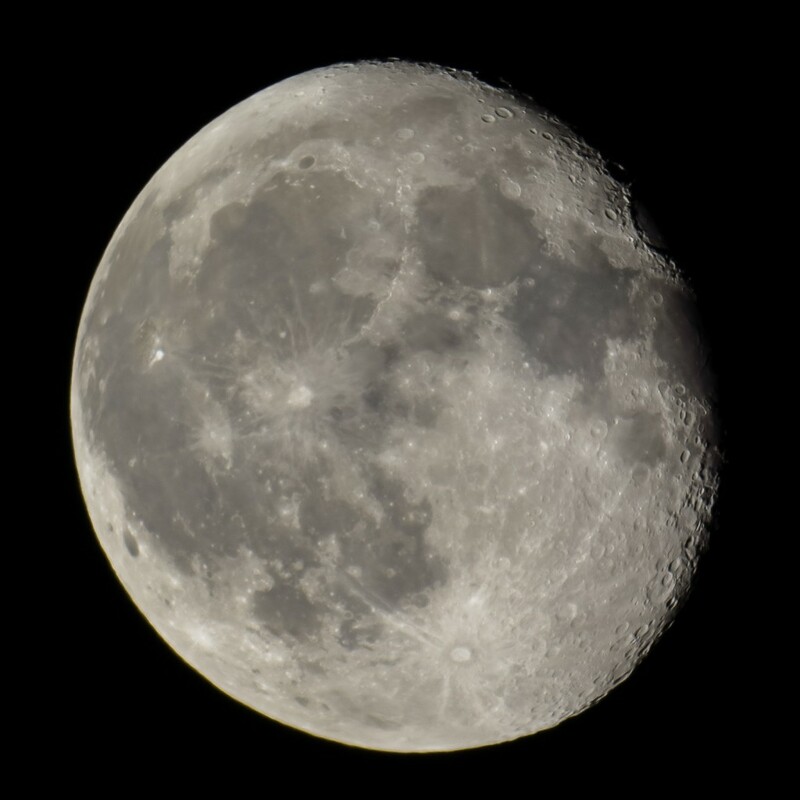 The clear air provided a good opportunity to capture the dark side of the moon which is actually illuminated by the earth which is big and bright in the lunar sky. 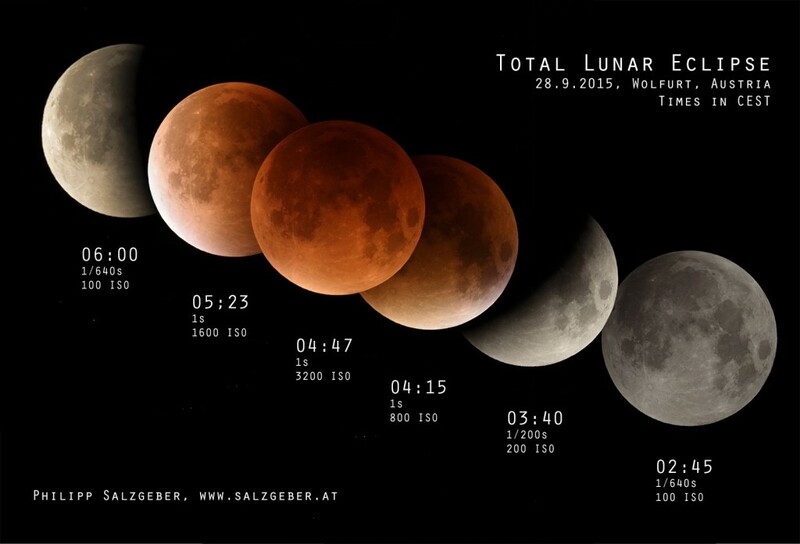 The moon is always a very regarding target. 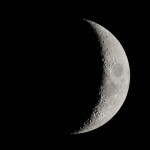 Even though the slow frame rate of the QHY5 (3FPS!) 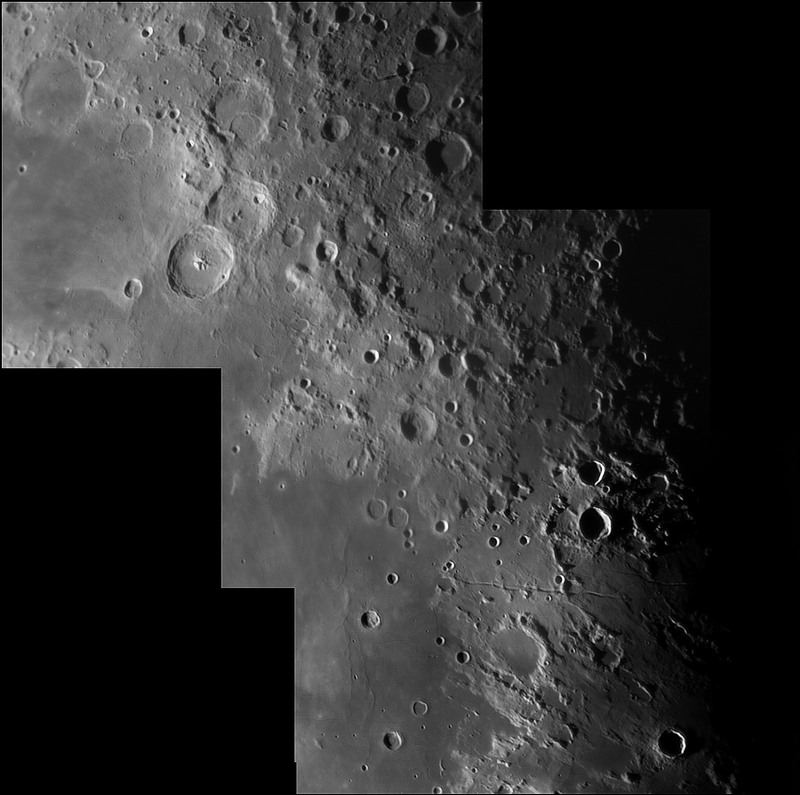 and the missing IR-Cut Filter do degrade the quality of the final image, some nice detail is visible in this mosaic of three individual avi files. 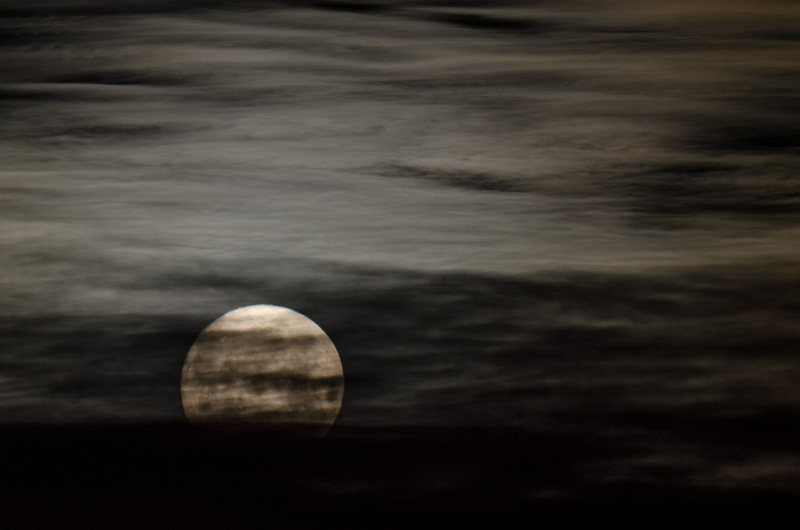 100 frames out of 400 were used for every frame. 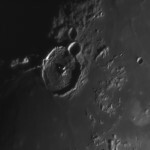 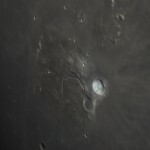 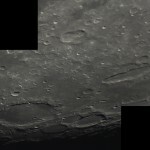 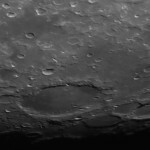 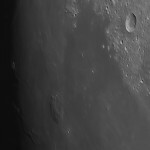 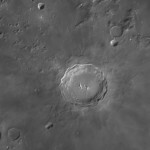 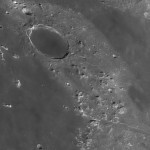 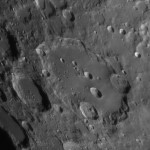 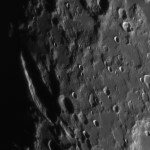 The trio of Theophilus, Cyrillus und Catharina craters at upper left and the Ariadaeus Rille at lower right are prominent features visible in this image. 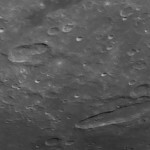 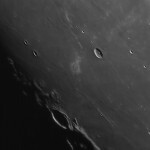 On the floor of the Mare tranquillitatis at lower left some subtle mare ridges are vsible. 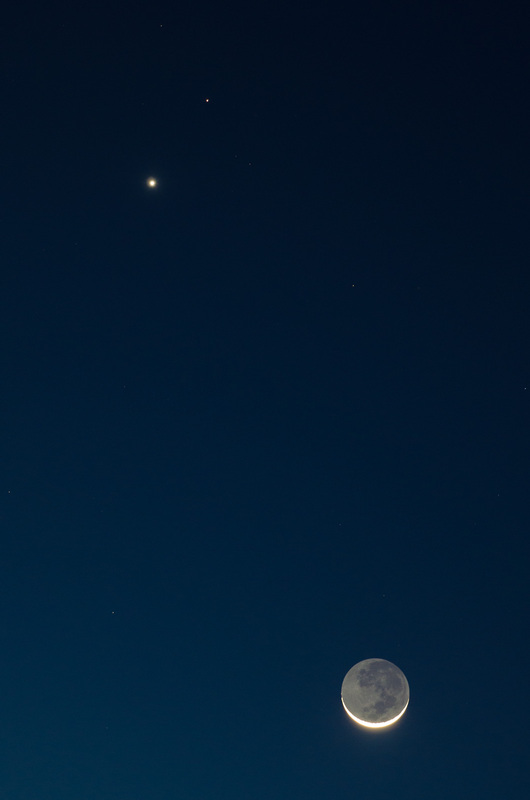 Tonight the western horizon is dazzlingly beautiful as the Moon, Venus and Mars shine brillantly in the clear air near the horizon. 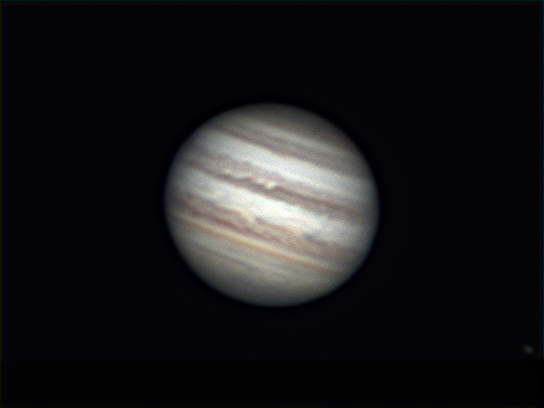 With temperatures below freezing and a strong cold wind biting into the flesh of my hands I retreated to the warm inside of the house after only a few minutes, this is a stack of 6 shots using Autostakkert.